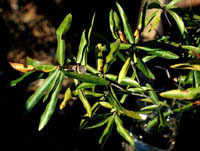 Willow Oaks grow on hardpan upland soils as well as floodplains and stream bottoms in east Texas. It is found in soils that are flooded for more than half the year. Although it can adapt to other conditions, it prefers moisture and acid soils - it is highly sensitive to high pH soils, in which it will develop iron chlorosis. It is a graceful tree with a fine texture because of its long, lance-shaped leaves. 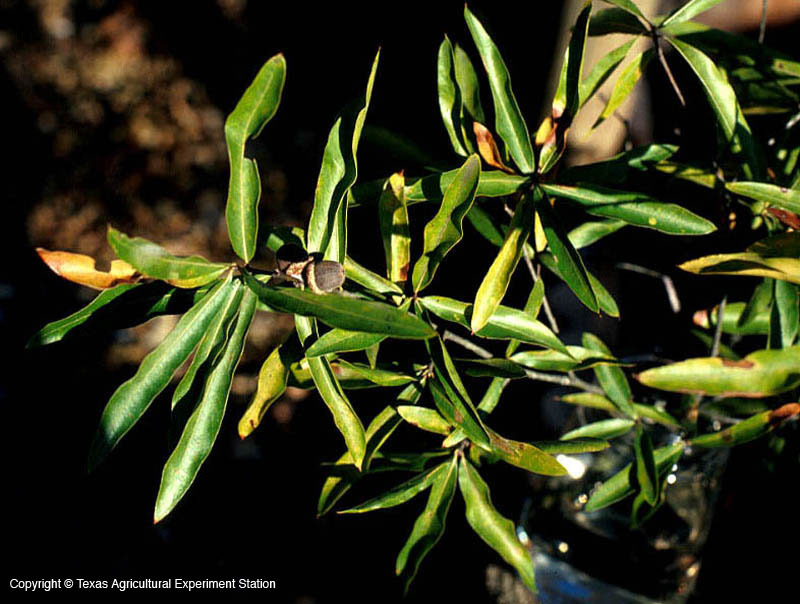 It is sometimes confused with the closeley-related Laurel Oak and Water Oak. Pyramidal growth forms occur in youth, becoming rounded to upright oval with age. Where it is adapted, its relatively rapid growth, good texture, lustrous foliage and high-branching form make it a good shade tree choice. The acorns are important food for waterfowl and other wildlife. Height: 60 to 100 ft.